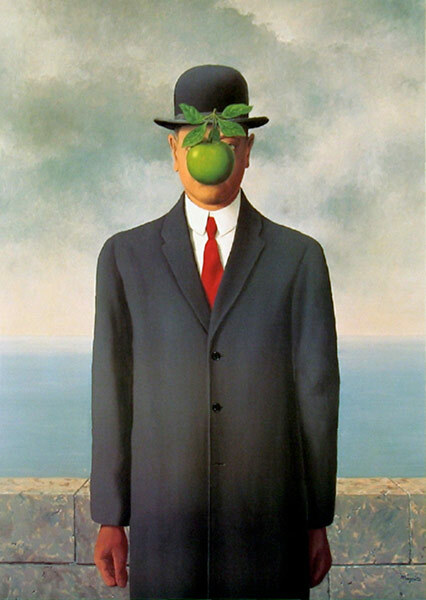 The Son Of Man is an iconic picture of the mid 20th century by Belgium surrealist artist René Magritte. Here are ten facts about the painting in our Key Piece series. 1. It is a self-portrait of the artist himself painted in 1964. 2. It contains many of Magritte’s symbols such as an apple, reference to his Ceci n’est pas une pomme or a bowler hat as seen in Man in a Bowler Hat. 3. 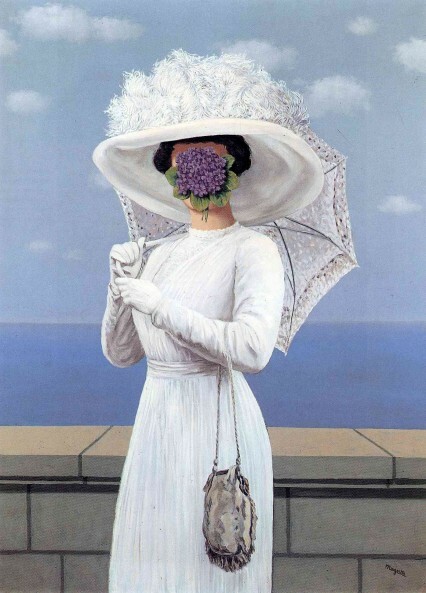 It appears to be the man pendant of Magritte’s painting The Great War on Façades that represent a woman with her face covered with flower instead of an apple. Both characters from The Son of Man and The Great War on Façades are standing in front of the same landscape, thus making of both painting a couple. 4. The title refers to a long lasting tradition that began in the Medieval Age. It is mentioned in Christian writings such as the Gospels in reference to Jesus. Throughout the centuries, the appellation has been used by several painters such as Titian to name a Christ painting. Magritte therefore offer his own representation of the subject. 5. Some peculiar details are clear references to Surrealism; such as the left arm bending backward. 7. The painting is private hands and rarely goes to public shows. 8. The Son of Man is a great reference for popular culture. It is even featured in the The Simpsons episode ‘Treehouse of Horror IV’. 9. It is also a big inspiration for other artists. 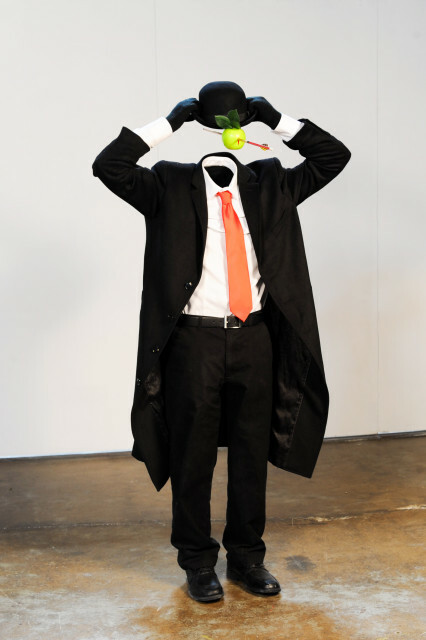 American artist Mark Jenkins created his own version of The Son of Man in his REMIX exhibition. 10. It is the main reference used in the American film Thomas Crown Affair to portray ’the stereotypical faceless businessman’.